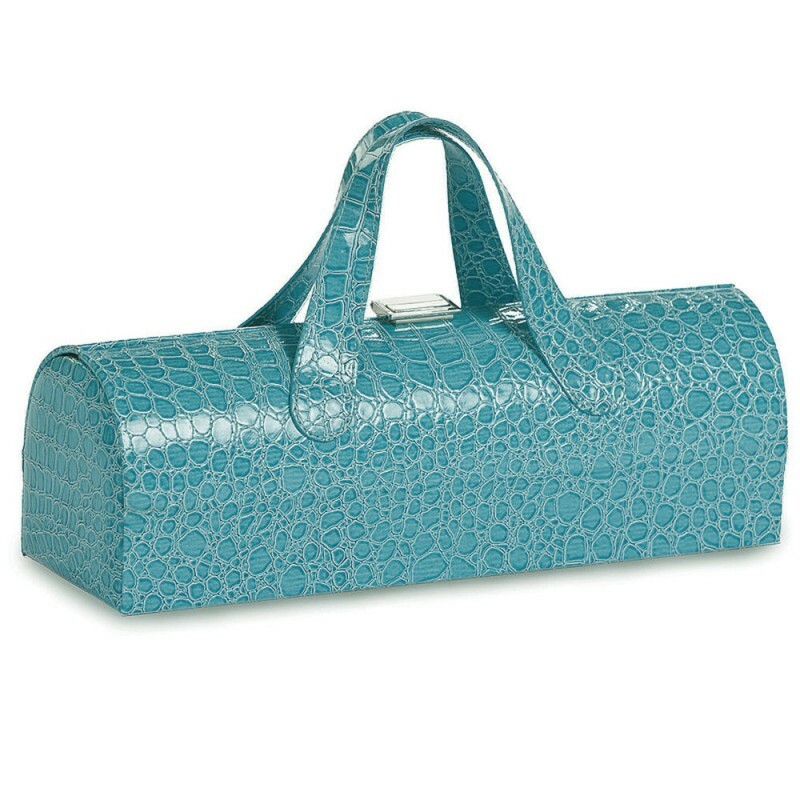 Carlotta Wine Clutch Azure (P/N PSM-112(AC)). Features a soft cocoa suede lining with an elastic strap to hold your bottle in place, and a pouch to store a corkscrew and your fav lip color. Carry it as a purse—only you will know what's really inside. 4 3/4"H x 13 1/2"W x 4 1/2"D.
Be the envy of all your friends when you show up for girls' night out carrying our sassy azure faux croc 1-bottle wine clutch.